Do you guys know about the deliciousness that is baked macaroni?! It's seriously my favorite decadent dinner, and if I didn't have to worry about it killing me I would seriously eat it every single day. 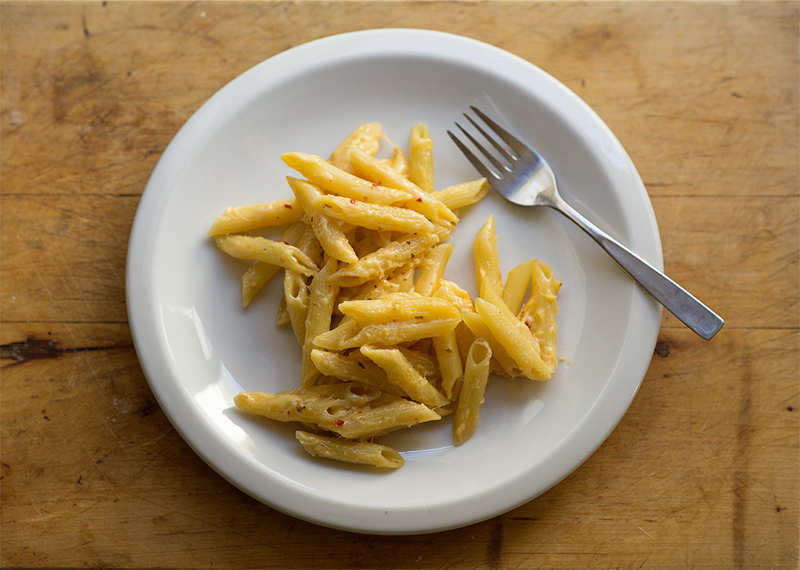 Cook your pasta until al dente (it will finish cooking in the oven). While your pasta is cooking put the butter into a medium sized sauce pan and melt. Once melted stir in flour to create a kind of paste. Pour in the milk and the cheese, while continuously stirring. If you are planning on adding any herbs or pepper flakes now is the time to do it. 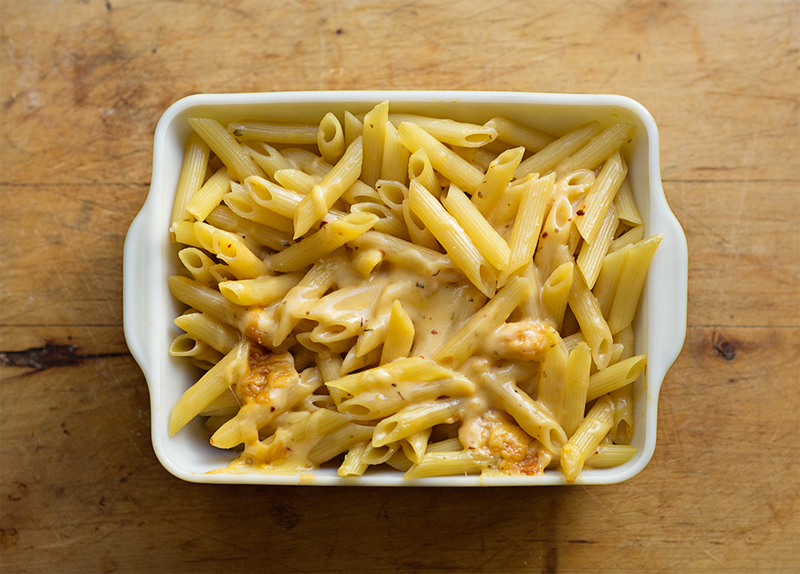 The heated mixture should resemble a thick cheese sauce, you might need to add more milk to get it to this consistency. 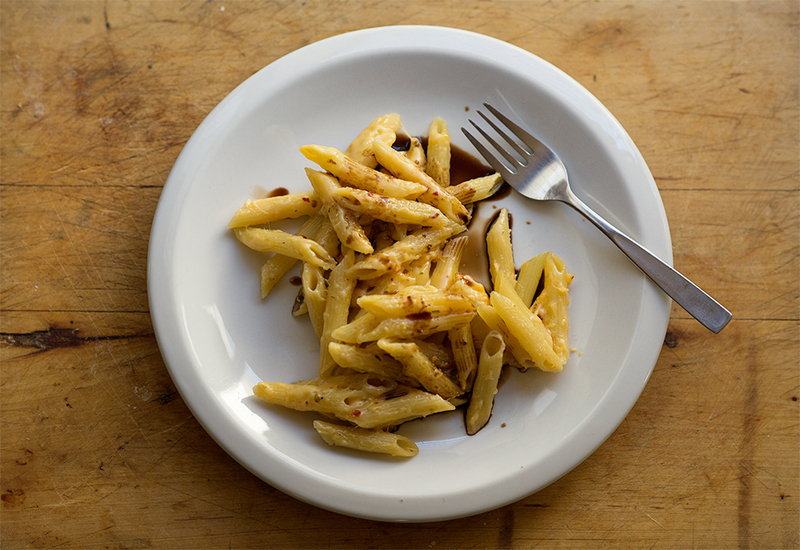 Once your noodles are al dente and the cheese sauce is ready, grease an oven safe dish and pour the noodles in. 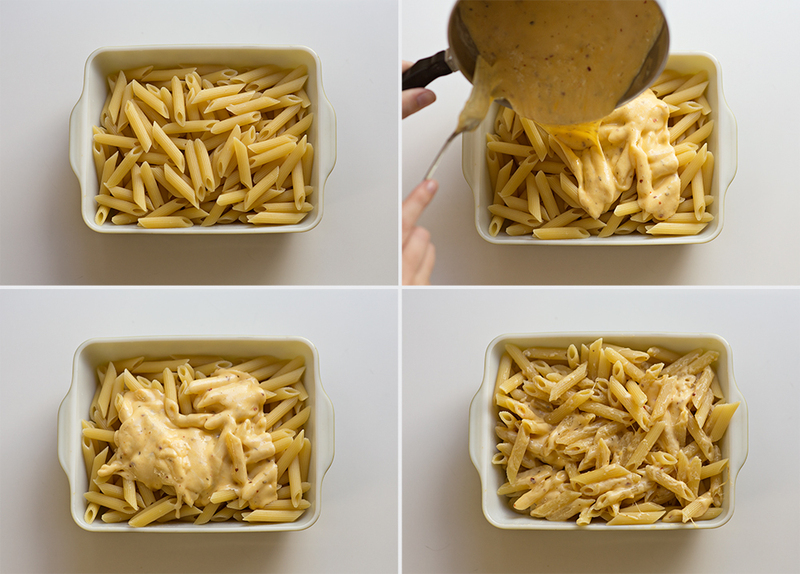 Add cheese sauce on top and mix into pasta with a fork. Cover with tin foil and cook for 25 minutes. As soon as that buzzer goes off bust that bad boy of the oven and scoop some of that ooey gooey yumminess into the biggest bowl you have and enjoy! And if you are feeling extra adventurous pour on some balsamic vinegar. It's so good. Let me know if you give it a try and what you think! Looks delicious, baked macaroni is my absolute fave! I recently added some Italian style bread crumbs and cheese to the top of mine and broiled. It took it to a whole new level!! You and me both lady! Ugh it's so goooood! Mine too! I just wish it wasn't so bad for you though, I would seriously eat it all the time haha! It seriously takes the macaroni to a whole new level, so good! Oh my word that sounds amazing! Next batch I make I will have to do that. Thanks for the suggestions! I've never thought of using Balsamic Vinegar either.